On the 19th of January, 2019, the British Historical Society of Portugal held its annual lunch at the Riviera Hotel in Carcavelos. Some 67 members attended the pre-lunch illustrated talk by Gerald Luckhurst on Byron, the renowned poet, who stayed in Portugal for sixteen days in 1809, before heading off overland to Constantinople. Byron was travelling with John Cam Hobhouse, whom he had met at Trinity College and with whom he formed a life-long friendship - both men sharing an endorsement of liberal politics. Byron went on the famous “Grand Tour” which many young aristocrats undertook before settling down - with his friend Hobhouse. The Napoleonic Wars forced them to avoid most of Europe and they decided instead to travel to Turkey. The two men set sail from Falmouth on the 2nd July 1809 en route for Malta and broke their sea journey in Lisbon. From an early age, Byron had been encouraged to write by both his family and his literary friends, Francis Hodgson being one of them, and several were published prior to his arrival in Lisbon: Fugitive Pieces, Hours of Idleness, English Bards and Scotch Reviewers (1809). 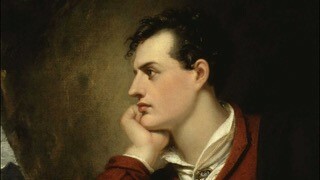 His next book, Childe Harold's Pilgrimage made Byron famous overnight. It was written later in 1812 (in Albania) and describes in eloquent prose his travelling starting with his description of Sintra (Cintra) in the first two cantos. Two more cantos, as well as four equally celebrated "Oriental Tales" were to follow. What goodly prospects o'er the hills expand! What beauties doth Lisboa first unfold! To save them from the wrath of Gaul's unsparing lord. The two men then travelled by road from Lisbon to Badajoz after two eventful weeks in the Portuguese capital. 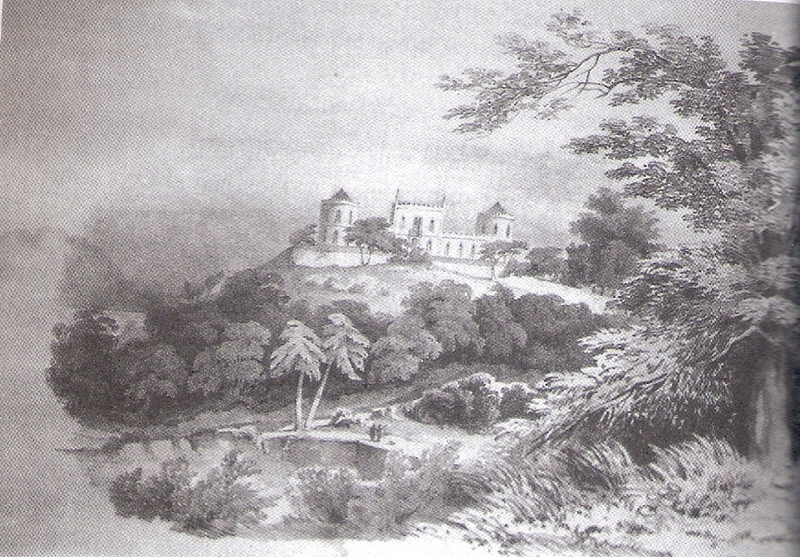 Hobhouse’s letters tell of dallying in taverns of ill-repute, where they were mugged one night - and the poet's verses reflect both his delight in the monasteries, gardens and places he visited, the Palace of Seteais and countryside that he visited on horseback near Sintra, as well as his sadness at the destruction he witnessed, caused by the French burning quintas and houses on their rampage up to Peniche. By the end of July, 1809, Byron and Hobhouse were in Seville, at the timeof the battles of the First French Invasions of Portugal. In Childe Harold's Pilgrimage, the poem is not very complimentary to the “Lusians”. 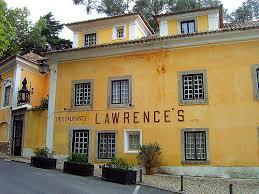 Other authors – both before and after Byron, write of the splendour and squalor of the Lusitanian capital. However, Byron goes on to write to his mother, on 11th August 1809, from Gibraltar, stating ... “the village of Cintra, about fifteen miles from the capital, is perhaps in every respect, the most delightful in Europe; it contains beauties of every description, natural and artificial. Palaces and gardens rising in the midst of rocks, cataracts, and precipices; convents on stupendous heights - a distant view of the sea and the Tagus [river].... It unites in itself all the wildness of the western highlands, with the verdure of the south of France. Near this place, about ten miles to the right [in fact to the north], is the palace of Mafra, the boast of Portugal, as it might be of any other country …”. 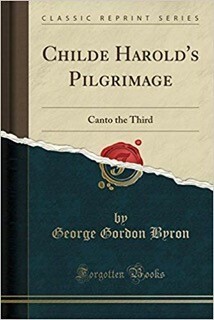 On his return from his Grand Tour with Hobhouse, Byron became an overnight celebrity in London with the publication of the first two cantos of Childe Harold's Pilgrimage in 1812. He was sought after at every society venue, elected to several exclusive clubs, and frequented the most fashionable drawing-rooms. However, his success was short-lived and he was forced to leave England on account of his non-conventional lifestyle, never to return to his home-land before he died “of the fevers” on the 19th April 1824, in Missolonghi, Greece.